Teaching activity: Over 15 different courses at the University of Aveiro and in other universities. Supervision of research projects of last year students. Current research interests: Sol-gel method for preparation of materials and hybrids for different applications: biomaterials, photocatalytic among others. Participant in more than 10 projects, national and international, either as project leader or as team member. Participant in several industrial valorization projects. Supervisor/co-supervisor of PhD thesis and Master dissertations. Author of 2 book chapters, co-author of 1national patents, more than 100 papers in journals and Proceedings. Chair and Co-chair of national and international meetings. Jury member or examiner of MSc exams and PhD defenses. Member of the Portuguese Ceramics and Glass Society. PhD in December 1990 in Materials Science and Engineering. Expertise in sol-gel preparation of materials for ferroelectric applications, biomaterials and hybrid organic-inorganic materials. More than ninety papers published until the end of 2013. - Equiparação a bolseiro no País para realização de trabalho com vista à prestação de provas de doutoramento. (Entre Outubro de 1985 e Junho de 1986 deslocação ao Instituto de Cerámica y Vidrio, C. S. I. C., Madrid). *.-. participante como investigadora responsável por parte da Universidade de Aveiro no Projecto: “Dispositivos fotónicos em tecnologia sol-gel híbrida" PRAXIS/P/CTM/11307/1998 (duração do projecto: 2 anos). *.-. 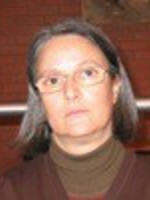 participante como investigadora responsável por parte da Universidade de Aveiro no Projecto: “Investigação da microestrutura de materiais híbridos orgânico-inorgânicos" PRAXIS/P/CTM/12212/1998 (duração do projecto: 2 anos). * - participante no projecto “Um eléctrodo activo para registo de electroencefalogramas” PRAXIS/P/CTM/10209/98 (duração do projecto: 2 anos). * - MULTICERAL - Multifunctional Ceramic Layers and Heterostructures with high Cross-Coupling Effects “Multiceral” (NMP3-CT-2006-032616). 20- M. Misheva, N. Djourelov, F. M. A. Margaça, I. M. Miranda Salvado, “Positronium decay study of zirconia-silica sol-gels”, J. of Non-Crystalline Solids, 272 (2000) 209-217. 21 - Piyi Du, Isabel M. Miranda Salvado, Paula M. Vilarinho, “Limits of formation of random grown perovskite and pyrochlore phases in sol-gel derived La modified lead zirconate titanate thin films”, Thin Solid Films 375 (2000) 19-23. 22 - Aiying Wu, Li Yang, P. M. Vilarinho, I. M. Miranda Salvado and J. L. Baptista, "Structural and electrical properties of seeded lead zirconate titanate thin films", Thin Solid Films, vol. 375 (1-2) (2000) pp. 24-28. 24 - Aying Wu, P. M. Vilarinho, I. M. Reaney, I. M. Miranda Salvado and J. L. Baptista, “Kinetic Aspects of the Formation of Seeded Lead Zirconate Titanate Thin Films”, Integrated Ferroelectrics, vol. 30 (2000) pp. 261-270. 25 - M. Misheva, N. Djourelov, F. M. A. Margaça, I. M. Miranda Salvado, “Positronium study of porous structure of sol-gel prepared SiO2: influence of pH”; J. of Non-Crystalline Solids, 279 (2001) 196-203. 27 - Aiying Wu, P. M. Vilarinho,A. L. Kholkin, I. M. Miranda Salvado, J. L. Baptista, "Seeding effect on the fatigue behavior of PZT thin films", Integrated Ferroelectrics, 37 (1-4), 475-484 (2001). 28 - Aiying Wu, Paula. M. Vilarinho, Isabel. M. Miranda Salvado, João. L. Baptista, Zhaoxia Zhou, I. M. Reaney, Ana. R. Ramos, Maria. F. da Silva, "Effect of Lead Zirconate Titanate Seeds on PtxPb Formation during the Pyrolysis of Lead Zirconate Titanate Thin Films" Journal of the American Ceramic Society, 85 (3) 641-46 (2002). 68 – S. R. Gomes, F. M. A. Margaça, D. Faria Silva, L. M. Ferreira, I. M. Miranda Salvado, A. N. Falcão, “Novel way to control PDMS cross-linking by gamma-irradiation”, Nuclear Instruments and Methods in Physics Research B 266 (2008) 1105-1108.